Hello I’m Aurora. I’ve lurked here for a while and thought I might as well join, as well as many of my fellow friends also reside here. I live in the United States (Ohio), I’ve read the Umineko VN and parts of the manga and am trying to get into Higurashi VN, I’ve seen the Higurashi anime (and technically the Umineko anime, but we don’t talk about that). My favorite is and likely always will be Umineko, but we’ll have to see how WTC 5 and inevitably 6 is. 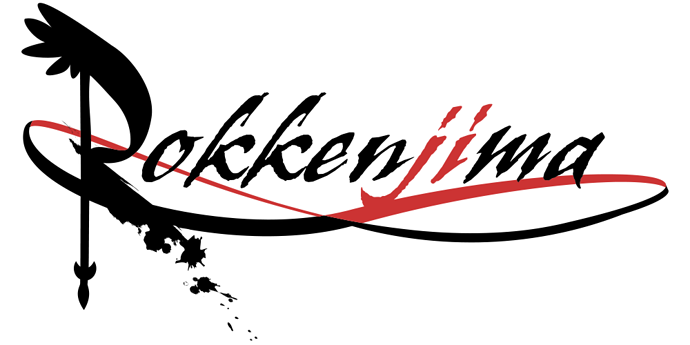 I found Rokkenjima on a google search, but some people have always praised it so I’ve considered joining for a while now. Some of my interests outside 07th Expansion include other ‘mystery’ related vns such as Danganronpa, Ace Attorney, and one day I’d like to try finishing the 999 series.I also like some games in general, but mostly older games, as I find new ones are always out of my budget, that and I just prefer them stylistically. I also do some application programming and perhaps one day I’ll even get around to making a game, unless you count Umineko Online a game, but that’s 07th Expansion related so shhhh. Welcome once more, @Aurora! Glad to see you join us. Are you one of the creators of Umineko Online? That’s very impressive! Someday I’d like to see a danganronpa-styled RPG on the forum. Are you one of the creators of Umineko Online? That’s very impressive! Yes actually. I’m the head creator of that project (and another in the works that’ll be even better). It’s not all that impressive, looking back I could have done so much better, that’ll be handy later though. Someday I’d like to see a danganronpa-styled RPG on the forum. I’ve been involved a few of those already so I’d be interested in that too. And thank you I will make myself at home. Well guys ty for the opportunity in having me. The few months i spent with you was fun indeed. When it comes down to it, the whole reason i joined this community was for discord in the first place but seeing Aspirin one-sidedly kicking so called trolls, myself included while i was away, see screenshot http://i.imgur.com/zjewj9V.png without any warning from the server is quite demotivating. No i won’t be active on the forums nor am i interested in receiving the fancy titles since I’m already more than active enough on seacat subthreads at /jp/. But i guess depriving fellow like-minded fans from taking part on chat is just Aspirin’s way of things. I have always believed discussing visual novels anonymously and on equal grounds whether it is on forums or on chat makes more sense than playing rainbow goats, if you know what i mean ;). I dont like being pressured to take part on these closed forums and nowhere else just because some megalomaniac says so. And i’m sorry to say that. One might think I’m welcome to leave which is what i intend to to So yeah, have fun being an elitist server. Think whatever you may, mark me salty or delete this message to further prove my point. This was my last parting remark as Hibi nihihi. Well Rokkenjima is a forum first and the Discord server is an addition, meant fundamentally to allow forum members to get to know each other better in a more relaxed environment. The main hub for 07th Discussion is the forum. That’s really all there is to it. Sorry if there was a misunderstanding there. If that’s still too much, then well, that’s unfortunate. Best of luck finding a place more to your tastes. No way!!! I live in land of the buckeye as well! It’s nice to meet another fan from the same state. It’s really interesting to hear you’re head creator of the Umineko Online project. Seriously, that’s really impressive stuff. As I’m sure you are aware, there are plenty of fun things to do here on Rokkenjima! If you want to get into the Higurashi VN, I recommend following along with our tea parties! Aspi (and others) have hosted them all the way from Onikakushi to our current tea party, Meakashi! Once the tea parties are over there are podcasts that you can listen to (you can participate in!) that sum up the overall discussion during the tea parties. Please participate in them, as you can win cool prizes! I’ve also watched the Higurashi anime, and I can tell you that reading the VN is so much better. I should also mention that if you want to talk about the stuff that happens later on in the anime, there are various spoiler threads where you can freely talk about stuff without worry of spoiling people. Oh! Higurashi’s not all that’s on this site. We have Umineko too. Both places for those new to the story, and those returning to it. These are also tea parties (and have their own podcasts), and future ones will come as soon as Chiru is rereleased on Steam! I’m certain that these future tea parties will also have a lot of fun prizes to look forward to. Speaking of stuff to look forward to, we also have a hype train thread with all of the current information we know about the next WTC. There’s a lot to do here on Rokkenjima, so I recommend you look around and get a feel for the place. Welcome to Rokkenjima! Hi there, I’m Five from Egypt (don’t be racist please). I’m turning 19 soon and I’m studying programing right now. I’ve known the “when they cry” series from when I was 12 (don’t remember how I found about it) when I read umineko vn and I liked it a lot. I’ve read umineko’s vn and manga and the higurashi manga (I didn’t read the vn though) and the higanbana vn and out of them all my favourite is umineko. outside of 07th expansion I like anime, manga,key, jrpg, touhou and Bemani. Something interesting about me: Hmmmm well I may be the only one who likes goat-kun in this whole site (don’t kill me). Hello Five! I’m glad you’ve already read so much 07th Expansion! If you want to gush about Umineko, there are spoiler free sections, and full spoiler sections for each episode. The same goes for Higurashi. I super recommend reading the VN. I know the manga’s pretty great (I liked it better than the anime), but as someone who’s read the original VN I can tell you that nothing quite matches the atmosphere of the original work. In fact, you can read along with the Rokkenjima gang participate in our tea party! Tea parties work sorta like a giant, online, book club. We all read together and then post our thoughts on it! Our current tea party is Meakashi! Please tell us your thoughts, as it can win you cool prizes. Everything discussed on the forum will be recorded into a podcast (and if you wish to be in the podcast, you can sign up!) once the tea party is finished. We also do more than just Higurashi and Umineko here. There’s also a thread for other 07th works like Higanbana, Rose Guns Days, TRianThology, Hotarubi, and all we know on the next WTC. There’s also plenty of other stuff like gaming, Touhou, anime, writing, reading, even caffeinated beverages! Don’t tell anyone, but I like Goat-hun too. Hey Five! I’m Pandora-one of the moderators here, welcome to our humble island of Rokkenjima! Don’t worry, our site has a strict code against racism and general dickish-ness, so feel free to make yourself at home. While I am a bit busy atm, feel free to contact @StarTurner or @U4ea if you either want to know how the site works or what topics to check out as you cannot create topics yet in your current state. Ooh, you started young as well? I got corrupted when I was nine through somehow discovering the Higurashi Kai anime on Youtube. Also, its nice to see someone that’s not from the U.S. Europe, or Australia, so really make yourself comfortable. Though I would recommend getting yourself an avi, its easier to identify you that way. Thanks @U4ea and @Pandora I appreciate your kindness. And yeah I’m going to read Higurashi and Rose guns days vns (and Trianthology whenever it’s translated) once I finish the current vn I’m reading. Am quite late, but welcome to @Aurora and @Five, too! You both seem like interesting ones and well-versed on both Umineko and Higurashi, I look forward to having discussions with you.